The Centre has been awarded a BREEAM 'Excellent' certificate demonstrating it is possible to achieve high environmental standards on a low budget. Environmental features include natural ventilation with exposed thermal mass and a night-time ventilation strategy to moderate internal temperature in summer. A large lake in the centre of the development provides support for a wide range of wildlife and helps to deal with the rainwater run-off from the roof. Its design maximises access to light and air and all timber is from a certified sustainable source and recycled materials have been used for insulation, cement replacement and aggregate replacement where possible. 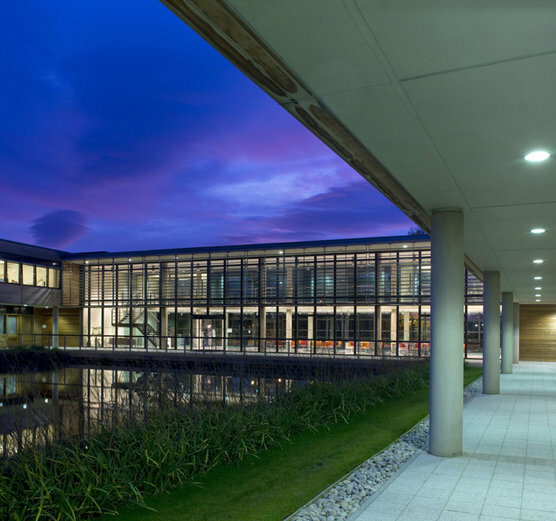 Located on the outskirts of Luton, the Centre provides high-end offices and workshops for technology and business start-ups.